I have a personal affinity for Sony cameras as my first digital was a Sony DSC-F717, which seemed at the time to be able to do a bit of everything and do it very well. The DSC RX100 VI is no different, fitting into the “I can do a bit of everything” category. The camera is quick, with 24 frames per second, 4k video, and a 20.1MP 1″ type stacked CMOS sensor. 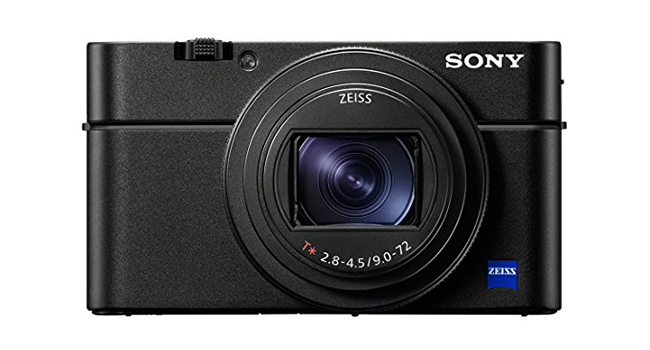 It’s the first RX100-series camera with a touchscreen and a retractable electronic viewfinder. Like any new iteration of a design, there are going to be slight tweaks. The Mark VI is very similar to the Mark I, just slightly bigger. Not really a problem when you are this diminutive a size. There’s a new lens on this model which may be the slowest of all the models up to now F2.8 wide open, compare to a previous F1.8. On the plus side, the camera gains quite a few features like the new pop-up viewfinder and a rear screen that can flip up and down. Being such a small size, the camera is ideal for traveling or on-the-go photography. The body is very similar to previous models, with basically the same controls but with an expanded feature set. The camera body is small and made out of metal, but still needs to be treated with care. Control dials are easily accessible and can be customized, like the easy to access zoom controls. They may be quite small for chunky fingers, but trying to cram all this functionality into such a small design is going to be hard work at the best of times. One other downside to such a small body design is a small battery and shorter battery life. You can get around 240 images per battery charge which isn’t the best, so keep a few fully charged spares on hand. Tiny size with a built-in zoom doesn’t mean a lack of quality. Being aimed at the travel market, the Mark VI has to do most things quite well, with both stills and video. But, all these features come with a high price tag. The 24-200mm lens works well for both stills and video in everything but low light. The fast autofocus makes sure you capture quick movements and special moments, which is one of the camera’s main standout features. The Eye AF feature really helps with focusing, which you can engage via the Eye AF button. Use in conjunction with the fast 24fps and you can capture decent wildlife and sports images, even portraits with great quality as long as you have plenty of light. The problem with a fast frame rate is that there is also some buffering, meaning time wasting between shots. The Flip screen is handy for shooting from extreme angles and is especially useful in video mode. For video modes, you can choose between the UHD 4K video option, along with slo-mo variants, such as 1080p 120p. You can also set exposure and focus peaking if you don’t want to engage autofocus. Downsides to the video would be no mic socket and 4K video is limited to 5 minutes. The camera can also get quite hot when it’s being used in video mode. The takeaway here is that, with a better lens than predecessors, the 1″-type sensor, and a great JPEG engine means that stills end up better than Panasonic equivalents, but you’re not hitting the same quality as a medium-range DSLR. Ease-of-use menus are always key at this end of the market and the Mark VI has everything nicely laid out, with an Fn menu that can be easily customized and accessed via a button. Touchscreen use is a common feature these days and the Mark VI is the first one to include the feature into the RX100 line. Common things like positioning AF points can be done with the rear screen or as a touchpad when using the viewfinder. Having a touchpad and touchscreen work independently is another nice option and limiting the functional area of the screen can also avoid accidental pressing of features. The problem with fitting so many features into such a small unit is easily accessing all those options. You can customize all the buttons on the back of the camera, which in themselves are quite small and fiddly, but once you get used to the parameters you just need to set up the ones you use the most often with stills and video playback. There is also a ‘My Menu’ included for all your most common functions. Having an auto ISO feature is a big feature on a camera like this one, and it’s better than some more expensive cameras. You can choose the ISO range and a threshold for when the next ISO setting is used. The options you have are for shutter speed and focal length. Auto ISO can be engaged in full manual mode for both still images and video, with exposure compensation specifying the level of brightness you want while all of the settings remain constant. Being small, compact, and full of features means that the RX100 Mark VI levels up with the likes of the Panasonic ZS100, Panasonic ZS200 and of course the rest of the RX100 range. The Mark VI has an immediate disadvantage of being the most expensive at roughly $1200 MSRP, with the cheapest being the Panasonic ZS100 at $699. The zoom range is better than earlier models at 28-100mm at F4.5. It’s got a shorter range than the Panasonic’s, but this also means a brighter range, just not as telephoto. The Mark VI also has a much nicer viewfinder than the rest. Shooting rate on the Mark VI is 24fps, while the Panasonics can only do 10fps. If you like video, you will be happy with the fact that the Mark VI makes use of the full width of the sensor. This means a wide-angle view similar to what you will get with still images and also means you get to capture more light with much less noise. Capturing video at 5400 pixels before sampling down makes this unit a far better proposition for high-quality video. The Mark VI definitely has a rich feature set, but its inability to work in very low light means it’s more adept at being an all-around travel camera than a secondary pocket camera. The autofocus facilities make it worth shortlisting and the quality of the video is very good in this class. Although the video in 4K is limited, the other video features more than make up for this.